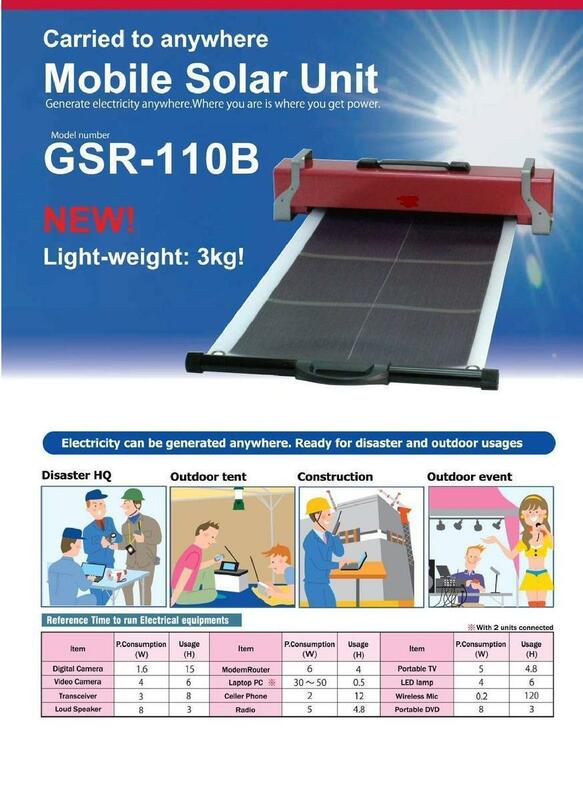 We are now supplying Portable/FLEXIBLE/Movable Solar System (Unit) can be carried anywhere, can be also used at Night time & Rainy Season, equipped with Internal Battery. This Solar Unit System can be used for Villages Home LED Lighting Solution, to watch LCD TV, Radio Charging, Mobile Charging, Laptop Charging, Easy to carry anywhere. This System also can be used in Offices for Laptop And Mobile Charging, and on the way for long overnight Journey like Train and Bus as night can be used too. This Mobile Solar Unit is the cheapest Rural LED Lighting Solution. Also for Cities & Offices to save electricity for charging Laptop, TV, Lighting with back-up sustem, and can be used in night time & in Rainy season. 10W Solar Panel, 3.7KGs, 1 Stand Fan,Mobile Charger, 2 Pcs DC Bulbs, Upto 4 hours Battery Charging System. Single Unit Price @ Rs 38,500/=. Bulk Order Price @ Rs. 32,500/= MOQ (Min. Order Qty): 10 Units. For an Order Of 50 Units or more, we can offer you Dealer/Distributor's price. 1 Payment - 100% Advance. 2 Trade Terms - Above prices are Ex-Kolkata. P&F and Freight Charges included. 3 Tax - CST 2% against form C, otherwise 14.50%. Note: We can also build-up new Solar Unit System that satisfies minimum necessary specifications according to customer’s requirement. Please enter the text shown in the image in the below box.